Researchers at the University of Southern California on Friday published findings that help validate the authenticity of D-Wave’s quantum computer. Their evidence isn’t definitive proof that D-Wave has created a true quantum computer but they were able to determine that it can do work in line with quantum mechanics. In a press release on the matter, Daniel Lidar, scientific director of the Quantum Computing Center and one of the researchers on the team, points out that his team used a specific test problem involving eight qubits. This method verified that the D-Wave processor performs optimization calculations using a procedure that is consistent with quantum annealing and is inconsistent with the predictions of classic annealing. A transistor in a classical computer can store a single “bit” of information meaning if the transistor in “on,” it holds a 1 and if it is “off,” it holds a 0. Quantum bits inside a true quantum computer are unique in the fact that they can store information in two states at the same time. This means a qubit can store a 0 and 1 simultaneously. By adding more and more qubits, you end up with a computer that is exponentially more powerful than a traditional computer. 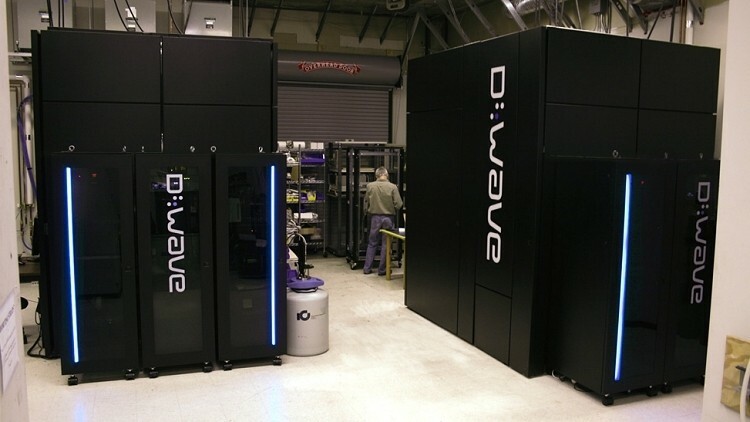 D-Wave claims to have built the world’s first quantum computer but naturally, there are plenty of skeptics. Even still, companies like Google and Lockheed Martin seem convinced, having purchased machines from D-Wave at a price of around $10 million.